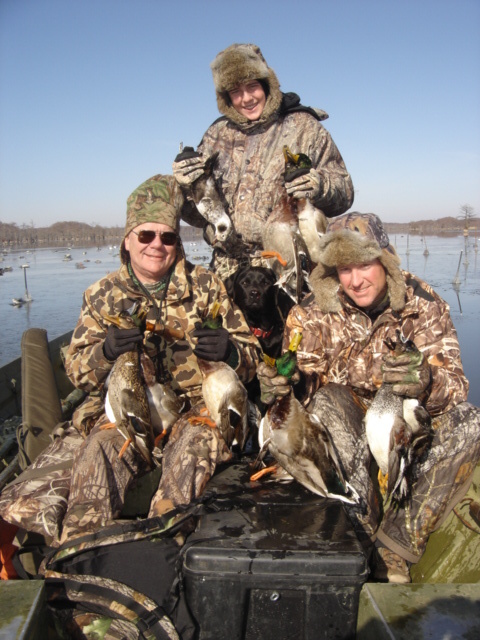 Al Hamilton's "World Famous Open Water Blind"
50th year - Fifth Generation Professional Guide on Reelfoot Lake in the business of hunting ducks and geese on Reelfoot Lake and the Mississippi River. 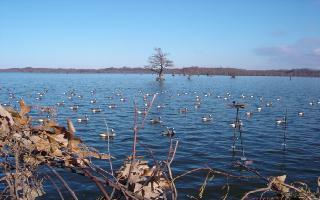 Oldest Waterfowl Guide Service on Reelfoot Lake. 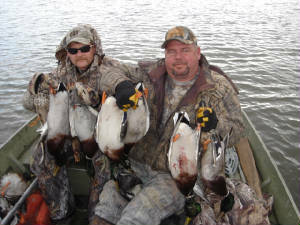 SPECIAL NOTE: Guides do not shoot during hunts with clients - ONLY THE CLIENTS SHOOT THEIR WATERFOWL. 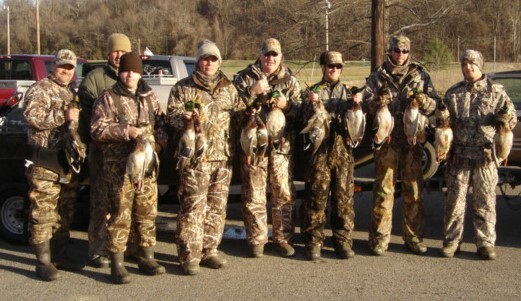 Reservations have to be made for all hunts and must be booked in advance. 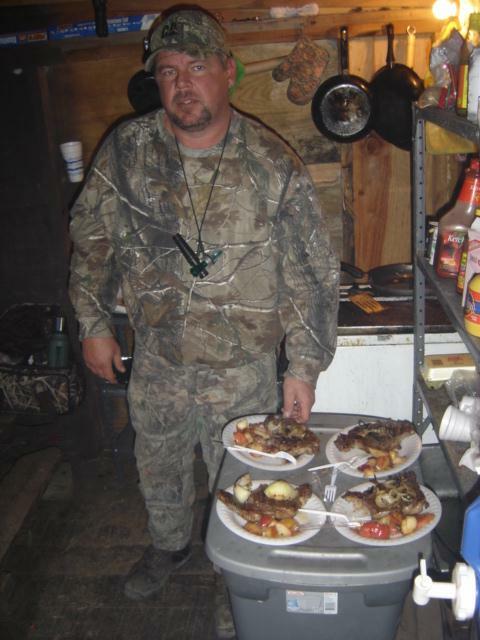 We suggest 2-3 day hunts. 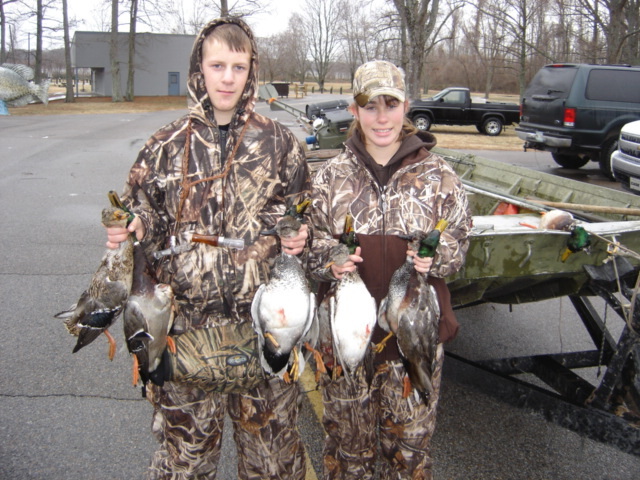 Ducks: The Duck Hunting season Dates of November 12 & 13 and then Dec. 3, 2016 to January 25, 2017. 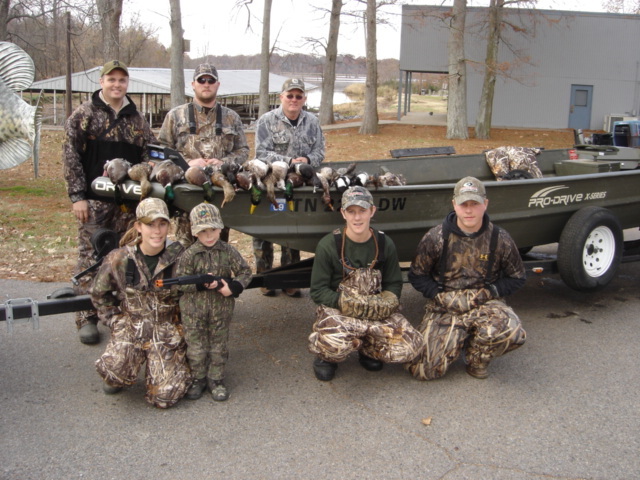 A daily bag limit of 6 ducks may include no more than: 4 mallards (no more than 2 of which may be a hen), 3 wood ducks (during the late waterfowl season only), 4 scaup, 2 pintails, 1 canvasback, and 1 black duck. 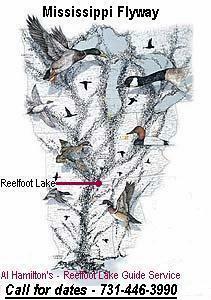 The daily bag limit of merganser would be 5, only 2 which may be hooded mergansers. 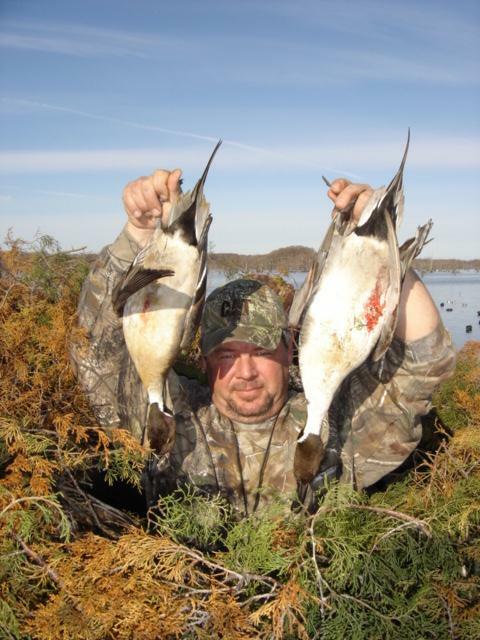 The maximum number of days allowed within in the federal framework for goose hunting seasons will be in effect. 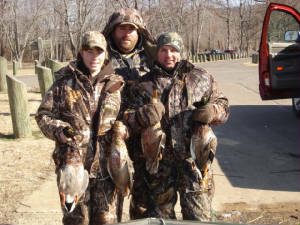 Goose seasons are set as late as federal frameworks allow in order to take advantage of any migratory geese that may be available in late winter. 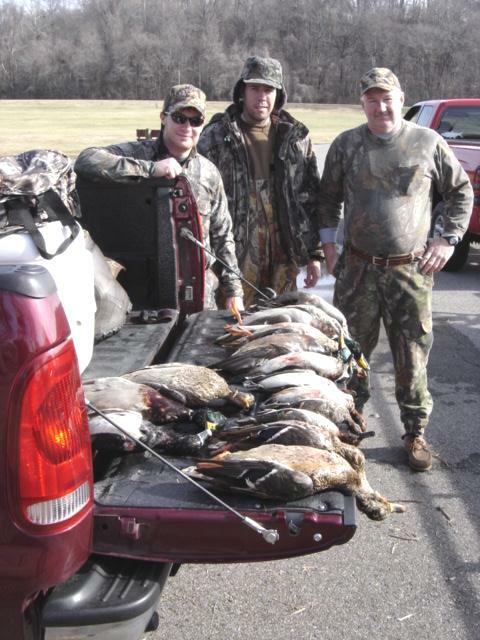 Geese In the Northwest Zone, the dates are Dec. 1-Feb. 12. The daily bag limit is 2 per person. 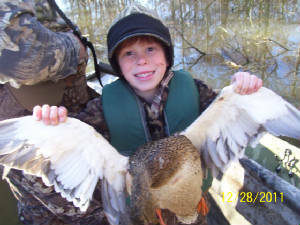 The white-fronted goose season runs statewide from Dec. 1-Feb. 12. The daily bag limit is 2 per person. 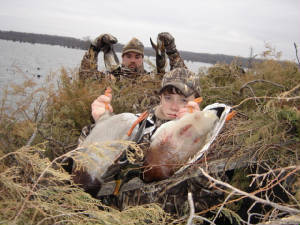 Shooting hours are from 1/2 hour before sunrise to 3:00 pm daily, for all species on Reelfoot Lake WMA only, Field and Mississippi River hunts run to sunset each day. 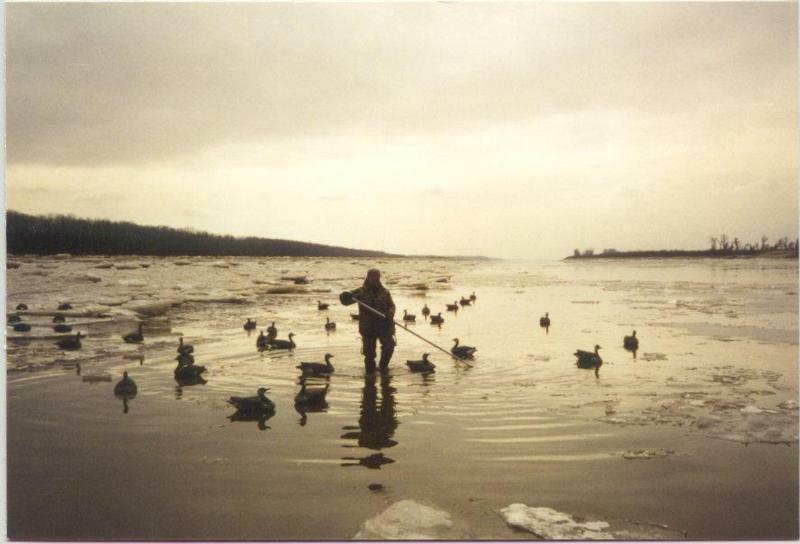 You will need your gun, shells, warm camo clothing and warm boots. 12 ga. is fine. #1,#2 and/or BB's. Temperatures are normally mid 20s at night to 30s in day but can be below zero also, sometimes. 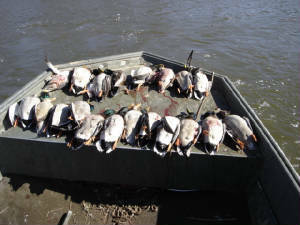 The drive from the hunting club to the boat ramp is about 10 minutes. Boat ride to the blind will take about 10 minutes. and your federal duck stamp signed in ink on the face. 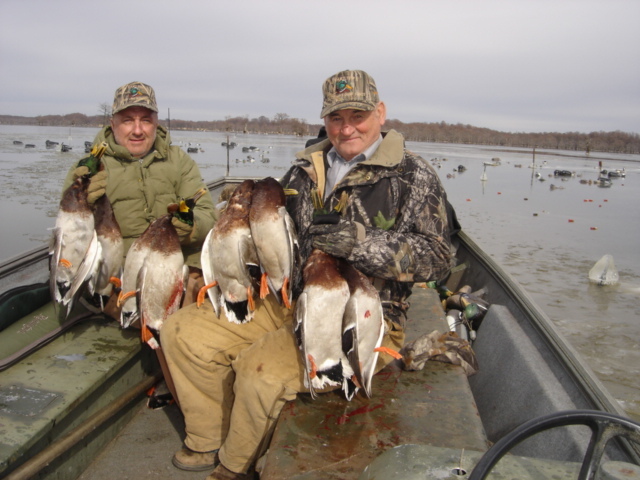 Open water hunting on the Mississippi River and Reelfoot Lake is best for Canvasback, Redheads, Blackjacks, and Bluebills (scaup) using special made diver boats custom designed and built by Professional Guide - Al Hamilton. 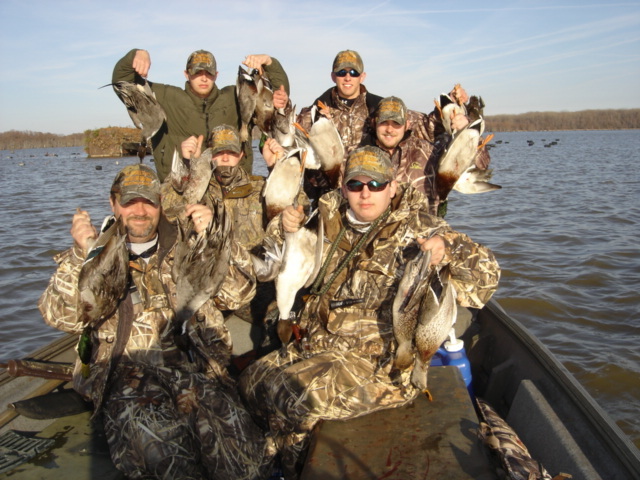 A 50% non-refundable deposit is required when booking a hunt. Credit cards are not accepted. 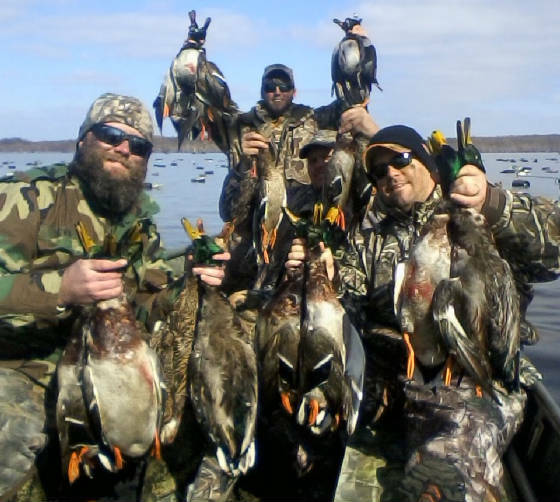 For the serious hunter seeking a quality experience in waterfowl hunting with the Oldest Waterfowl Guide Service on Reelfoot Lake. 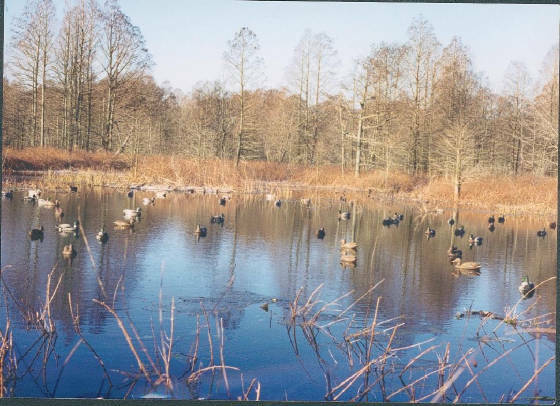 The only Waterfowl Duck Blind next to the Buzzard Slough, Palestine Timber, Tri Timber, Round Cypress, area of the Reelfoot Lake National Wildlife Refuge - Grassey Island Unit on the Bayou Du Chien River and next to Buck Basin. 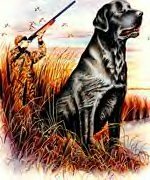 I have hunted this blind location on the Bayou Du Chien River since 1961 when I first build at this location. 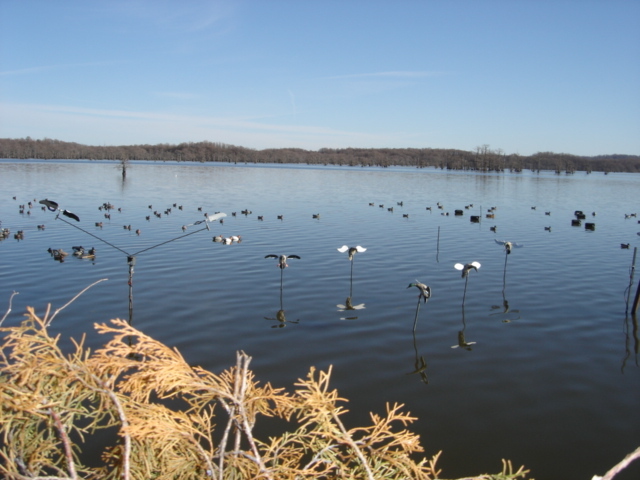 This is the #1 Duck crossing spot for over 50 years at Reelfoot Lake going to and from the Grassy Island Unit, Black Bayou Refuge, Lake Isom Refuge, White Lake, Obion River Bottoms and the Mississippi River. 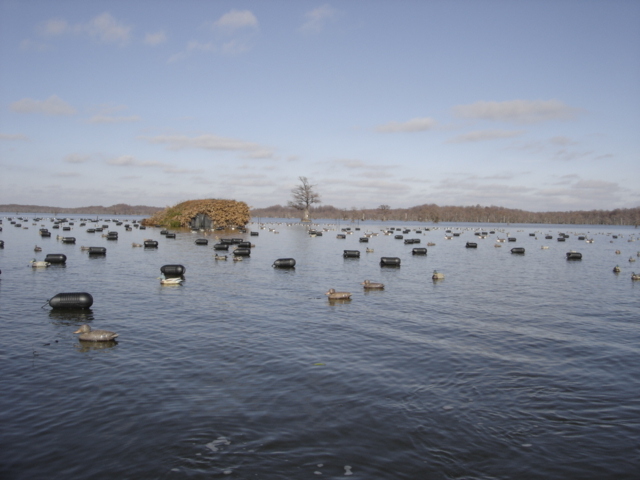 This Duck blind location is the best on Reelfoot Lake since 1961, it being the most consistent duck blind for over 50 years on Reelfoot Lake and the # 1 duck blind for killing decoying ducks and geese, None better "year after year". 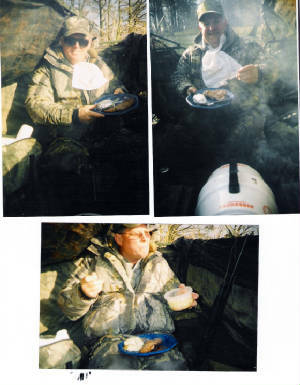 ""My Open Water Duck Blind site was inside the Reelfoot Lake National Wildlife Refuge for over 40 years, waterfowl think they are inside the refuge boundary lines and are easy to shoot ""
Reelfoot Lake Duck Blind Lunch "Rib-Eye Steak"
Al Hamilton's - "World Famous Timber Duck Hole"
Reelfoot Lake Timber Hunt Location " The Honey Hole"